Speckled trout fishing has been outstanding this year and this should continue in September. Deeper flats will produce more fish, while the larger specimens may be found in shallow water. A topwater or shallow diving plug worked over bars at first light is a deadly technique for fooling gator trout. Along with trout, anglers fishing the deep grass will catch a variety of species this month including bluefish, Spanish mackerel, mangrove snapper, pompano, gag grouper, and ladyfish. Both live bait and artificial lures will catch plenty of fish. A Bass Assassin grub on a ¼ ounce jig head is a great choice for anglers who enjoy casting artificial lures. Olive (08) X-Raps and other plugs are also effective along with gold and silver spoons. A live shrimp under a popping cork is a time-proven technique for catching “specks” on the West Coast of Florida. Snook will migrate from the beaches back into the bays. 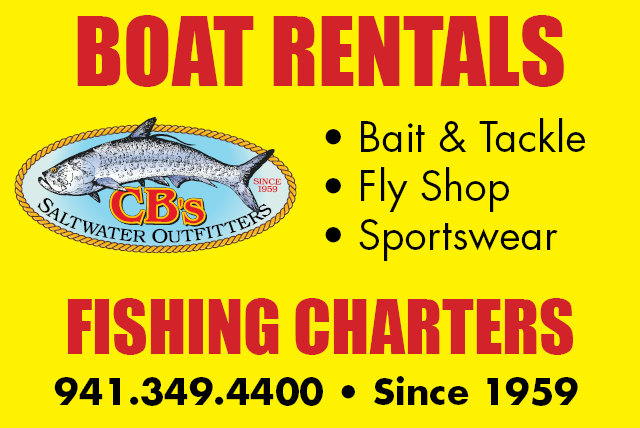 Both passes will be great spots to fish, especially on afternoon outgoing tides. The bars and mangrove shorelines along Siesta Key are prime spots as the fish move towards their fall feeding areas. Artificial baits will allow anglers to cover more water, while a well full of pilchards practically guarantees success. 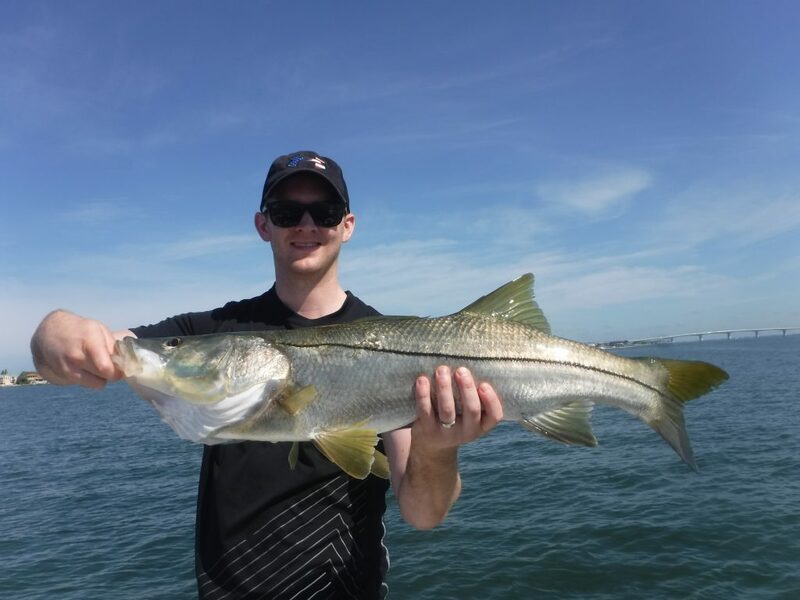 Redfish, large speckled trout, jack crevelle, and mangrove snapper may also be encountered while pursuing the mighty snook. Lighted docks and bridges are snook magnets and will provide great action for anglers looking to catch fish and escape the summer sun. Live and artificial shrimp free lined in the tide are deadly, as are small white flies.